Again and again I am impressed with books whose writer’s either share a small moment with me that I ponder upon in my own life OR make me question the world around me. Isn’t that what good literature is suppose to do? And why am i coming across these observations now in my life (As opposed to my younger days?) Those are some of the quandaries that perplexed my mind as I read Carolyn Marie Souaid’s collection entitled This World We Invented. I’m taking a big gamble. all over my faux-leather interior. I love the lyrical component added with the frank descriptions here. There is detail and feeling all massed together with this work. It reflects my world to a tee at times, almost sharing my thoughts that I couldn’t say out loud myself. Here, it’s imbued with impulse. It’s a dimension I’d rather not think about. A residue of violence clings to the windowsill. There are some great reflections on the world in here. The musing and pondering that the poet shares here are interesting and important. And they are often thoughts that are overlooked and never considered by the rest of us. want the facts. Who are you? But what match are they for your diabolical wit? Let’s not, as people say, get ahead of ourselves. 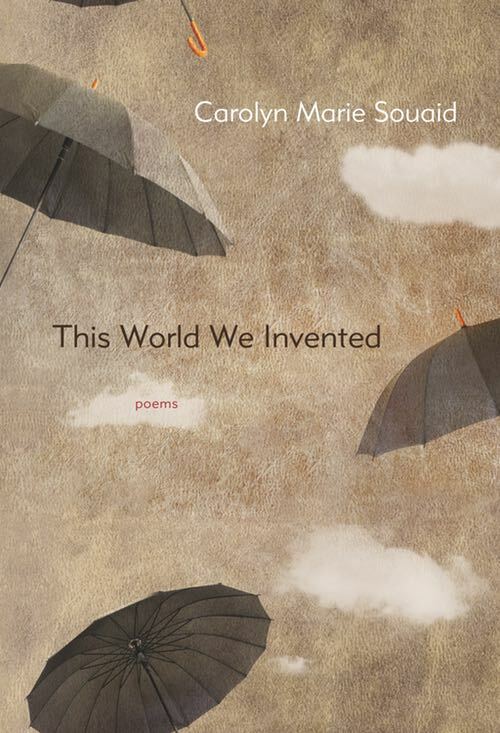 Carolyn Marie Souaid’s collection entitled This World We Invented made me at least reflect a bit about my world around me. She illuminated thoughts I had but would have never had the notion of expressing myself. A great read.